St Albans Museum + Gallery opened in June 2018 and the refurbished Georgian Town Hall is a fantastic place to visit as part of a day out exploring historic St Albans in Hertfordshire. We went along to take a look inside the new St Albans Museum + Gallery and the FREE People and Places of St Albans’ Past family activity trail, which will be available from Saturday 28th July, throughout the summer. We walked through the open and spacious entrance through to the Grand Staircase Gallery, where we found a display charting the history of St Albans ‘The City That Went Uphill‘. St Albans has many stories to tell, from its beginnings as a pre-Roman settlement, to the modern cathedral city, and the permanent display in the Grand Staircase Gallery gives visitors a brief introduction to many of St Albans’ notable moments in history. We ventured up the stairs, past portraits of some of the famous faces of St Albans, to come face-to-face with the head of a lion in the Landing Gallery! Then through to the Assembly Room. When we visited the impressive Assembly Room was home to an exhibition of artworks and installations by Susie MacMurray. Be quick if you don’t want to miss it, as the Susie MacMurray exhibition closes on Sunday 5th August 2018. Also on the first floor, make sure that you don’t miss the glazed corridor that takes you to the Keeper’s Galleries at the back of St Albans Museum + Gallery, where we found more artworks and views down historic French Row, towards the medieval Clock Tower and St Albans Cathedral. Back down the stairs and we made our way to the basement, which is home to the Weston Gallery and the Prison Cells. It’s fascinating to walk along corridors once inhabited by defendants from the 1800s up to the 1960s and if you look closely you’ll see graffiti belonging to previous occupants scratched into the walls and doors. Then you can experience what it might have felt like to walk up the narrow stairs into the Courtroom and stand in the dock, ready for your sentence. You can also sit in the Judge’s chair and look through the list of cases in the St Albans Court from 1831 to 1967 and imagine the many people that heard their sentence passed in the historic space. The Courtroom is no longer used for official court proceedings, instead it is a unique café and you can purchase drinks, cakes, lunches and children’s lunch boxes in the LEAFI cafe and then take a seat in the Courtroom and enjoy the surroundings. St Albans Museum + Gallery launch their programme of events for the summer holidays at the Summer Family Festival on Saturday 28th July, 11am-4pm. Pick up a People and Places of St Albans’ Past trail booklet at the museum and once you’ve had a good look around the exhibits inside the museum, then you can follow the trail to explore St Albans and learn about many of the historic buildings in the city centre. The trail took us past buildings we have passed by many times, but the trail gave us a reason to stop and really look at our surroundings and we learnt lots about St Albans. We discovered the Tudor Town Hall that was built in 1570 and the building that was once used as the Market Traders’ Shop and Store (look up and you might see the year in which the shop was built). The trail continues along French Row and we discovered that Christopher Place gets its name from the old coaching inn, the Christopher Inn, which was built in the 1400s and named after St Christopher, the patron saint of travellers. We managed to resist the temptation to go inside the best ice cream parlour in St Albans, the fantastic Darlish (if you haven’t been then go in and try some of their amazing flavours this summer), then on to George Street, just in time for lunch. We popped into the George Street Canteen, which has a delicious range of hot and cold lunches, excellent coffee and a brilliant kids menu, as well as stunning views of St Albans Cathedral. After a tasty lunch we continued on the trail to the mysterious ‘steps to nowhere,’ then on through the Abbey Gatehouse and past St Albans Cathedral. The trail then took us along the cobbles through Sumpter Yard to the Ryders’ Seeds Head Office and Exhibition Hall, built by the former Mayor of St Albans, Samuel Ryder, who went on to commission the famous golf trophy, the Ryder Cup. The trail has a few questions along the way, to get you really looking at the historic buildings. It was a welcome change, to take some time to see familiar buildings in a new light. The trail winds its way back through Waxhouse Gate and there are more fascinating facts about how this ancient part of the city got its name – you’ll have to pick up a trail booklet from St Albans Museum + Gallery to find out more! Did you know that the Clock Tower in St Albans is the only medieval clock tower in England? The People and Places of St Albans’ Past Trail takes you past the Clock Tower, then along to the Corn Exchange, which was built in the 19th century to provide a place for trading corn and then became a dance hall, before it finally became home to a number of shops. The whole trail took us about an hour to complete (not including our stop for a bite to eat) and ends back at the St Albans Museum + Gallery, where you can collect a small reward for completing the trail. visit St Albans Cathedral before 27th August 2018 and see a Bayeux Tapestry mosaic, made from tiny pieces of steel. walk to Verulamium Park and wander around the lakes. visit the Verulamium Museum and find out more about St Albans and Roman Verulamium. visit the Roman Mosaic and Hypocaust in Verulamium Park. St Albans Museum + Gallery is on Market Place, St Peter’s Street, St Albans, Hertfordshire, AL3 5DJ. St Albans Museum + Gallery is free to visit and open seven days a week (although there are sometimes small charges for touring exhibitions and workshops). Visit the St Albans Museum + Gallery Summer Family Festival on Saturday 28th July, 11am-4pm. Pick up a free People and Places of St Albans’ Past trail booklet from St Albans Museum + Gallery from Saturday 28th July, then throughout the summer. Children’s lunch boxes are available to purchase at the LEAFI cafe inside the St Albans Museum + Gallery. 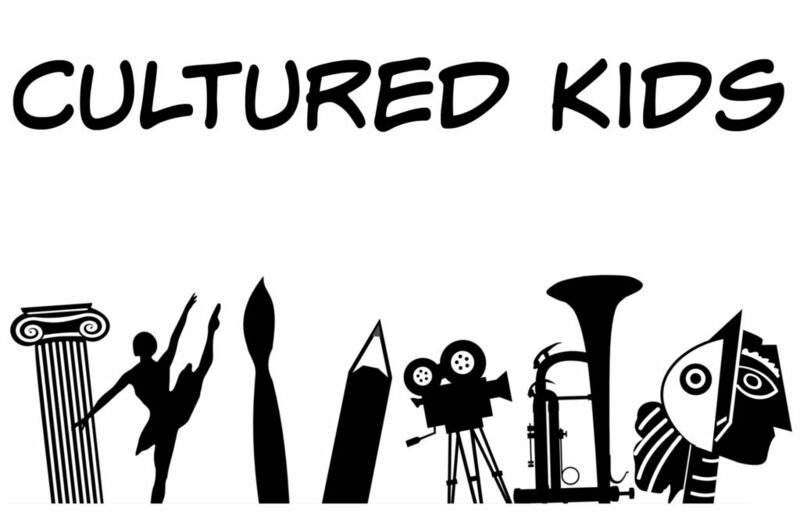 This post is linked with Cultured Kids hosted by Diary of a Londoness and Catherine’s Cultural Wednesdays. St Albans is only 20 minutes on the train from Kings Cross St Pancras, it’s an easy, fun day out of London. I hope you’ll be able to come and take a look sometime. The new museum and gallery is really worth a visit. Thank you, I’m glad you enjoyed reading about it. St Albans has a very rich history. There’s also the Roman Verulamium Museum in the park so you can spend a whole day immersed in history. I hope you enjoy your day if you decide to visit. St Albans would love to have you back and the new museum is a fantastic hub for cultural events in the city.